Writing for Peace commemorates the Tenth Anniversary of Poets Against the War with Daily PAW Posts from a host of contributors. Our final post is from Martín Espada, who shares his tribute to Sam Hamill and Poets Against the War, originally given at the 2012 Split This Rock Festival in Washington, D.C. on March 22nd, 2012. Poetry saved Sam Hamill. Poetry saved him from a life of violence, self-destruction and incarceration. This poem is dedicated to him. Allow me to introduce Sam Hamill. Sam was born in 1942 or 1943 to unknown parents. Adopted and raised in Utah, he was beaten and abused, a runaway, a petty thief, in trouble with the law, in and out of jail. I was fifteen years old, and I was smoking a lot of heroin and trying to be cool, man, and I really loved poetry. And Kenneth convinced me that destroying myself was not really the best possible solution, and that I needed to look at the world’s literature, and not just my own life, in order to be hip, if you will. So he had a huge influence on what became of me thereafter. He has received fellowships from the Guggenheim Foundation, the National Endowment for the Arts, the Woodrow Wilson Foundation, and the Mellon Fund. In 1973, he co-founded the legendary Copper Canyon Press, serving as editor there for more than thirty years, publishing Rexroth, Carruth, McGrath, the posthumous works of Neruda. Small wonder, then, that Sam felt (and I quote) “overcome by nausea” when he was invited to participate in a White House symposium called, “Poetry and the American Voice,” hosted by First Lady Laura Bush. The symposium, set for February 2003, was cancelled when word got out of Sam’s plan to gather anti-war poems for presentation to the First Lady. Never tell Sam: Don’t say that. He fought back by founding Poets Against the War. PAW collected, posted and archived more than 20,000 poems and statements against war. As Sam puts it, “Never before in recorded history have so many poets spoken in a single chorus.” He also edited the anthology Poets Against the War, published by The Nation Books. Can (thousands of) poems inhibit this or any administration planning a war? It is only one step among many. But it is an important step, as each is. We join physicians against the war, teachers against the war, farmers against the war, and others. Poets Against the War helped bring about hundreds of poetry readings and discussions around the world while compiling a document of historic proportion. And when our critics on the right suggest that poetry might somehow divorce itself from politics, we say, ‘Read the Greeks, read the classical Chinese; tell it to Dante, Chaucer, Milton or Longfellow. Tell it to Whitman, Dickinson or Hughes. Tell it to García Lorca, to Joseph Brodsky or to the Chinese poets living in exile in our country…A government is a government of words, and when those words are used to mislead, to instill fear or to invite silence, it is the duty of every poet to speak fearlessly and clearly. Albert Camus writes: “henceforth, the only honorable course will be to stake everything on a formidable gamble: that words are more powerful than munitions.” Sam Hamill has become the living embodiment of this principle. He and PAW defined a culture of conscience in this country. When future generations want to know the truth of these times, they will not turn to Colin Powell’s testimony at the United Nations. They will turn to the words of Sam Hamill. They will read Poets Against the War. We’ve shed a sea of blood. Still the emperor wants more. Our boys lie under the weeds. we will never find it. because these boats need rowing. The time has come for us to stand up and express our gratitude for all that rowing. Please welcome my compañero, my hero, Sam Hamill. Writing for Peace applauds each of the poets who shared their anti-war poems with us this month, every poet who took part in the PAW resistance of 2003, and especially our adviser Sam Hamill, whose moral courage continues to challenge us to search for understanding and stand for truth. 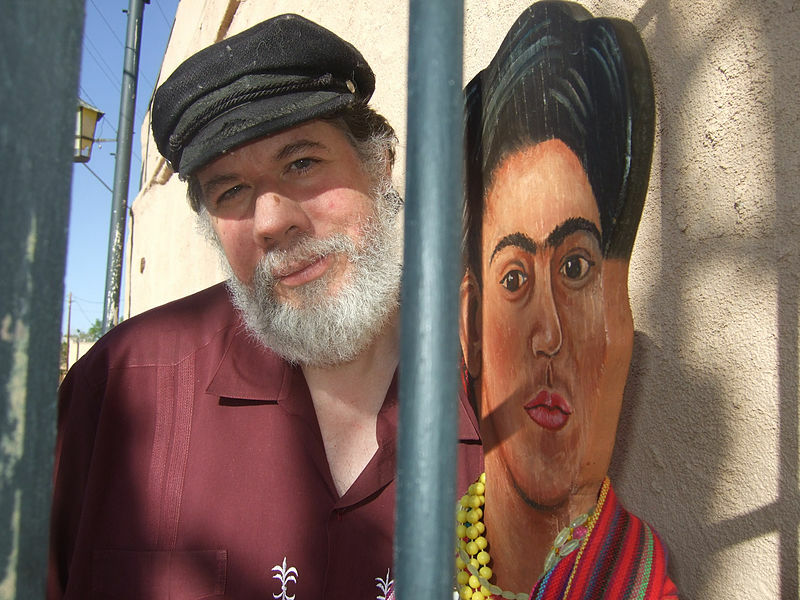 Called “the Latino poet of his generation,” Martín Espada was born in Brooklyn, New York in 1957. He has published more than fifteen books as a poet, editor, essayist and translator. His latest collection of poems, The Trouble Ball (Norton, 2011), is the recipient of the Milt Kessler Award, a Massachusetts Book Award and an International Latino Book Award. The Republic of Poetry, a collection published by Norton in 2006, received the Paterson Award for Sustained Literary Achievement and was a finalist for the Pulitzer Prize. A previous book of poems, Imagine the Angels of Bread (Norton, 1996), won an American Book Award and was a finalist for the National Book Critics Circle Award. Other books of poems include A Mayan Astronomer in Hell’s Kitchen (Norton, 2000), City of Coughing and Dead Radiators (Norton, 1993), and Rebellion is the Circle of a Lover’s Hands (Curbstone, 1990). He has received such recognition as the Robert Creeley Award, the National Hispanic Cultural Center Literary Award, the PEN/Revson Fellowship and a Guggenheim Foundation Fellowship. His work has been widely translated; collections of poems have been published in Spain, Puerto Rico and Chile. 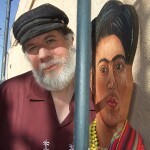 His book of essays, Zapata’s Disciple (South End Press, 1998), has been banned in Tucson as part of the Mexican-American Studies Program outlawed by the state of Arizona. A graduate of Northeastern University Law School and a former tenant lawyer, Espada is currently a professor in the Department of English at the University of Massachusetts-Amherst. Learn more about Martin Espada’s work here. During the month of February, Writing for Peace has offered a post each day in honor of the Tenth Anniversary of Poets Against the War. We hope all our readers have been as moved and inspired by these poets as we have. In March, our focus will shift toward other aspects of peace, as we take a step back from the inflammatory debate about reducing gun violence and explore the issue through poetry, essays and fiction. We won’t continue the rigorous posting schedule of February, but you can continue to count on us for two to three posts per week. The 2013 Young Writers Contest closes at midnight, Mountain Standard Time on March 1st. Announcements will be made through our blog on May 1st 2013. Contest guidelines are posted here. We’ve already extended our release date twice, and we’re going to do it once more (knocking on wood). The print copies of DoveTales, an International Journal of the Arts will be out by the end of March. E-books will likely be offered sometime before that. We beg your continued patience, and assure you it will be worth the wait. Our first issue is absolutely beautiful! Thank you for your support, and continue to check in with us here for news about DoveTales. This entry was posted in Daily PAW Post contributor and tagged Advisors, Blasphemy, Daily PAW Post, Espada Tribute, Martin Espada, Poets Against the War, Sam Hamill. Bookmark the permalink.